According to this report, as the MoFA had discussed this past week (that we documented in our 9 August report “Russia To Break All Ties With United States As Libya And Yemen Cry To Putin For Help—And Turkish Forces Plan Invasion Of US Base To Arrest Top American Generals”), President Trump has embarked upon a new “Great Game” to break the power of the “Deep State” globalist controlled factions in America, along with those in Britain and Europe—that involves his using sanctions to separate the European Union from their major energy source producers and suppliers Russia, Turkey and Iran—that if successful would leave the energy starved and economically battered nations of Europe no choice but to cut their ties to the United States, thus allowing Trump to take the US out of NATO and set America upon its own course—but that the Security Council (SC), also this past week (and we documented in our 5 August report “Trump Taunts “Deep State” Daring Them To Assassinate Him As Historic US-Russia Alliance To Save World Gains Speed”), warns now puts Trump in the same crosshairs as US assassinated Presidents Abraham Lincoln and William McKinley, along with Russian assassinated leaders Tsars Alexander II and Nicholas II—all of whom, likewise, tried to break the power of these “Deep State” monsters who have brought the world nothing but hundreds-of-millions of needless deaths, and economic enslavement. 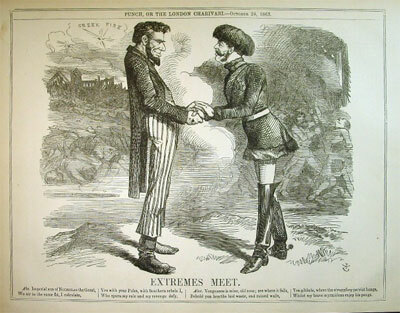 Not known to the masses of the American people, this report explains, are that the European peoples, their hundreds-of-thousands of businesses, and over 500 million peoples, are near totally dependant on other nations for energy—the most important of which have been Russia and Iran—but that, in 2003, the United States and Europe began a series of wars to remake the entire Middle East so that the Sunni Arab monarchy states (like Saudi Arabia, UAE, Kuwait, etc.) 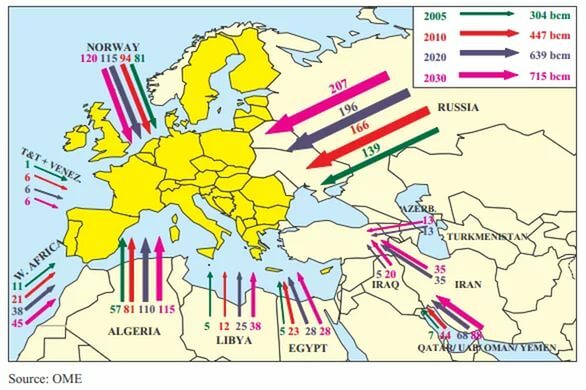 could supplant Russia and Iran to become the European’s major energy supplier. Key to the United States and the Europeans remaking the entire Middle East into Europe’s major energy supplier for the benefit of their Sunni Arab allies, however, this report notes, was their being able to take control over the nations of Turkey and Syria—that are the only two nations through which energy pipelines could be put through to reach Europe—and that saw the US-EU attempting to destroy Syria and overthrow the government of Turkey—both of which were stopped when both Russia and Irancame to these nations’ defense—and whose necessity for doing so was to protect their own countries’ economies and national interests. 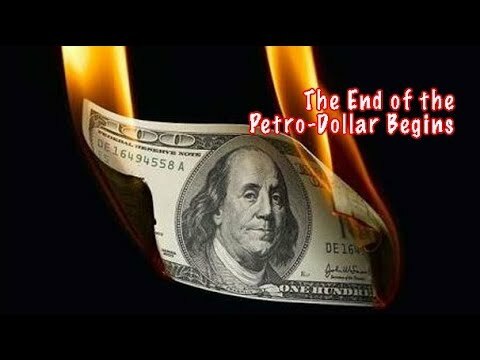 To why the “Deep State” aligned America and European powers need to supplant both Russia and Iran from being Europe’s main supplier of energy, this report further explains, is due to the Petrodollar System—that came to be after the collapse of the Bretton Woods gold standard in the early 1970’s, when the US struck a deal with Saudi Arabia to standardize oil prices in US Dollar terms—and that through this deal elevated the US Dollar to the world's reserve currency—and through this status, the USis able to enjoy persistent trade deficits, and become a global economic hegemony—as it’s able to finance its massive military power just by printing money the Europeans, and other nations, have to obtain in order to buy their energy supplies. By 2017, this report continues, the US-EU failed effort to extend their Petrodollar System through Syria and Turkey had already cost the American people $5.6 trillion (not to mention nearly 50,000 US solider deaths and casualties, and nearly 10 million Muslim civilian deaths)—with then newly elected President Donald Trump declaring to his people about the total waste of this money, during his first address to the US Congress, “We could have rebuilt our country, we’ve spent trillions and trillions of dollars overseas, while our infrastructure at home has so badly crumbled”. 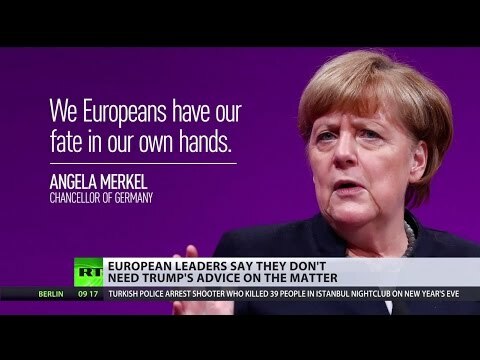 With President Trump, also, knowing that with this “Deep State” failure to secure for themselves Syria and Turkey to build pipelines through, the only path left was total war to preserve the Petrodollar System—as Russia, Iran, Syria and Turkey are never going to allow that to happen, this report details, he began taking actions to cut off the Europeans immediately from their energy supplies by placing impossible to comply with sanctions on Russia, Iran and Turkey—with his full knowledge that the Europeans couldn’t survive this cut off of energy supplies as no pipelines through Syria and Turkey have yet to be built to give the Europeans access to Middle Eastern energy supplies. With President Trump’s sanctions against Iran mandating that the Europeans stop buying their energy supplies from there by November, this report further details, they won’t be able to maintain their energy supply by looking to Russia to make up the difference—and is due to Trump’s placing new “unacceptable and unlawful” sanctions on Russia, also to come in effect in November that will cut off all energy trade to the Europeans too—and whose “dangerous precedent” the Foreign Ministry says Russia will not make a secret of the fact that it’s preparing a “mirror response” to—instead of thinking of how to improve the now non-existent relationship with the United States. 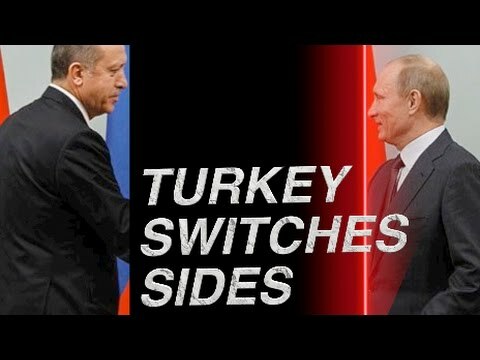 In moving further to remove Turkey from US-EU “Deep State” control, this report continue, President Trump has now placed crippling new sanctions on them too—that Turkish President Erdogan calls a “currency plot” and his declaring that “those who move the currency think that they can destroy Turkey”—and whose concrete move against sees Turkey now joining with Russia and the other BRICS nations to eliminate all trade in US Dollars, thus spelling the end of the Petrodollar System. Aside from stopping all trade in US Dollars, this report says, further retaliatory actions against the United States by Russia include blocking all US moves to put more sanctions on North Korea—prohibiting the export to the US of rare and strategic metals essential to all kinds of American industry—stopping the supply of engines crucial for the US space program—and denying access to Russian airspace to all US airlines, that would devastate them financially. The most catastrophic blow to the “Deep State” overlords in both the US and Europe that Russia is preparing for, though, this report concludes, is the prying away from NATO the entire nation of Turkey—and where over 70% of its citizens are favorable toward a political, economic and security alliance with Russia—as well as Russia already being the largest supplier of natural gas and the third largest supplier of oil to Turkey—and whose NATO air defense standards can be readily interfaced with Russianair defense systems—with Turkish President Erdogan, just hours ago, giving his final warning by stating: “Washington must give up the misguided notion that our relationship can be asymmetrical and come to terms with the fact that Turkey has alternatives. Failure to reverse this trend of unilateralism and disrespect will require us to start looking for new friends and allies”. August 11, 2018 © EU and US all rights reserved. Permission to use this report in its entirety is granted under the condition it is linked back to its original source at WhatDoesItMean.Com. Freebase content licensed under CC-BY and GFDL.